Hobart B. “Hobe” Stroud, age 95, of Scio passed away Sunday, April 15, 2018 in Community Hospice Truman House in New Philadelphia, Ohio surrounded by his loving family. Born March 19, 1923 in Deersville he was a son of the late John Norris “JN” Stroud and Hilda Smith Stroud. Hobe graduated from Scio High School in 1942 and honorably served in the US Navy for 3 years during WWII as a boatman’s mate 2nd class in both the Asiatic and Pacific Theaters. 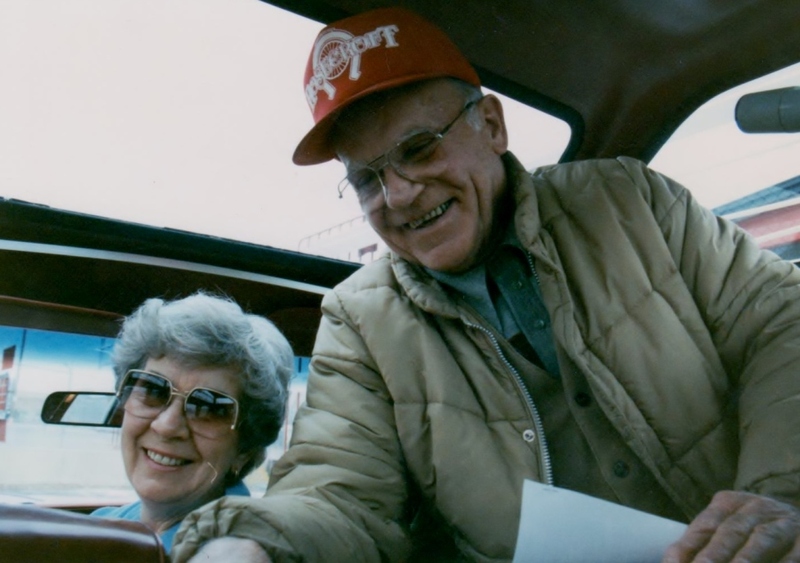 He and his father JN owned and operated Stroud’s Hardware in Scio for 25 years. Hobe also owned, trained and drove harness horses for several years, having his horse “Executive Pick” selected as one of the top ten trotters in 1964-65. In 1971, after a career ending accident, he purchased a Mobile Starting Gate and was licensed by the US Trotting Association as an official starting judge. 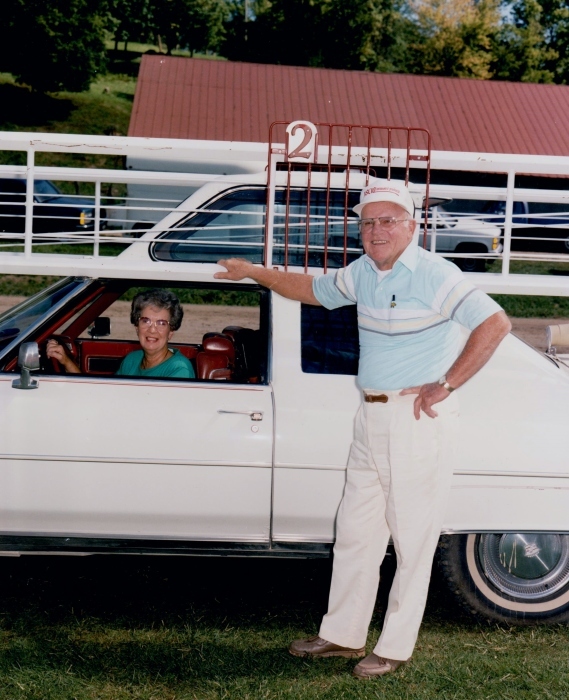 He and his wife Mary, who drove the starting gate, worked at numerous county fairs in Ohio for 30 years. They also started horses at Northfield Park in Cleveland, The Meadows in Washington PA and in the 1980’s at Rosecroft Raceway in Washington, DC for 9 years. A few years after they returned to Ohio he became a valued employee at Koch Funeral Home in Scio. Hobe attended the New Rumley United Methodist Church and is a member of the Scio American Legion Post #482, the US Trotting Association and the Harness Horse Association. He was also a devoted member of the former Scio Civic Club and in 2003 Hobe and Mary were selected as Scio Citizens of the year. He is preceded in death by his wife Mary Ethel Kimmel Stroud on May 8, 2015, they married February 26, 1964, a step grandson Justin Scott in 2007 and his sister Esther Tobey in 2017. Surviving are his daughter Tammy Penton, who lovingly cared for him this past year; grandchildren Shawn Pennington, April Gelston and Michael Cinkan; a step-son Tim Scott, step grandchildren Matt, Tyler and Sarah, a niece Carolyn Lange and nephew William Lange and several great grandchildren, step great grandchildren and cousins. Services will be held Thursday at 1 pm in Koch Funeral Home, Scio with Pastor David Lee officiating. Burial will follow in Fairview Cemetery, Jewett. Friends may call Wednesday from 2-4 and 7-9 pm at the funeral home. Memorial contributions may be made to Community Hospice House, 716 Commercial Ave SW, New Philadelphia, Ohio 44663.